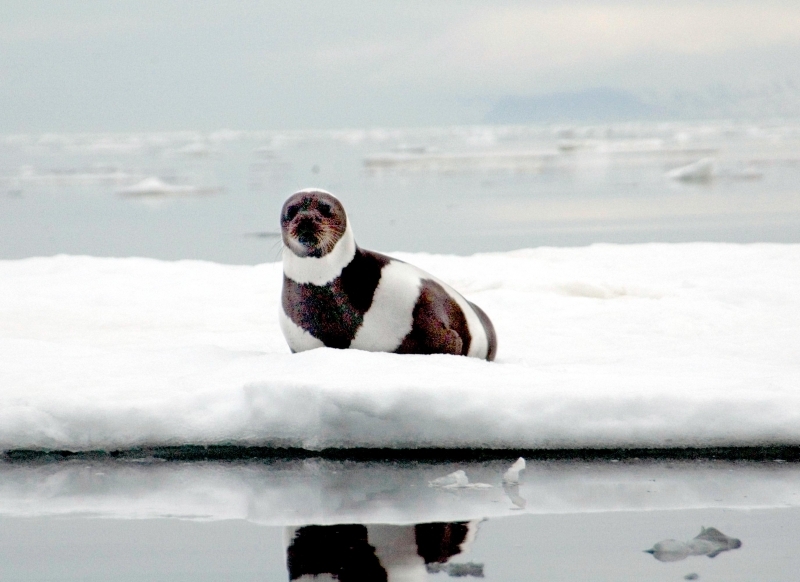 Ribbon Seals are an elusive seal species for researchers because of their remote habitat. 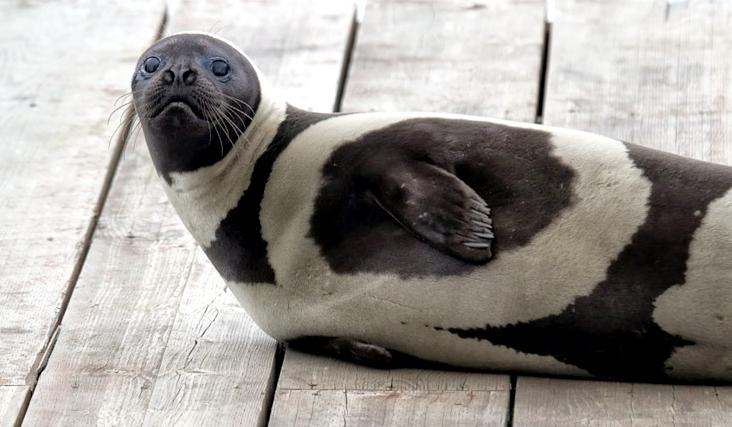 These seals measure an average of 1.6 meters (maximum 1.9 meters) in length and weigh an average 70-80 kilograms (maximum 148 kilograms) both males & females. 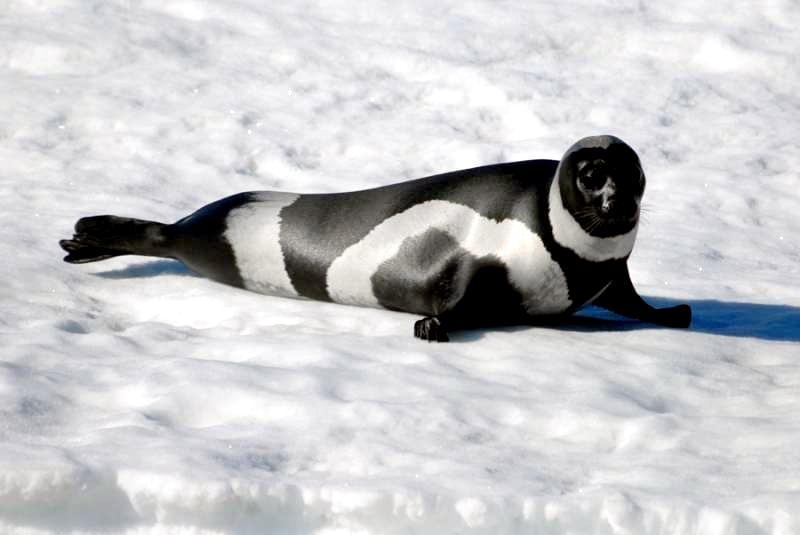 The Latin name for the Ribbon Seal means “seal with bands” because of their distinctive strips or ribbon patterns on their bodies. 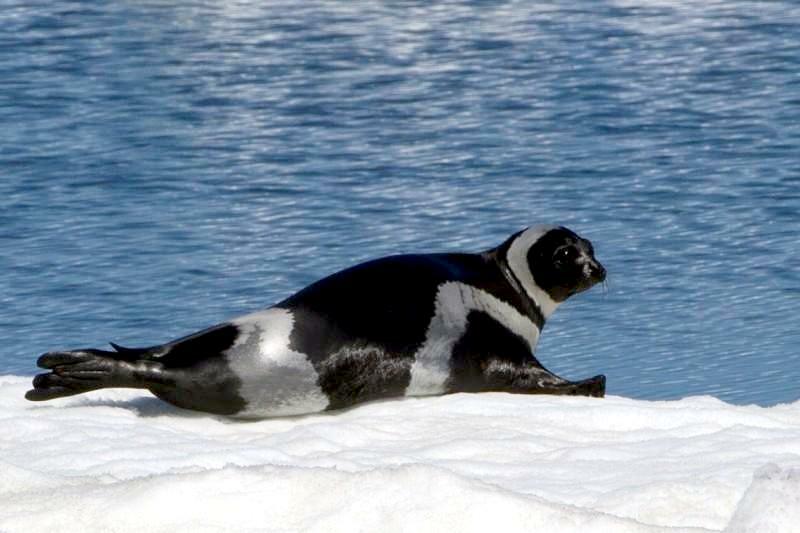 There are usually 4 white, sometimes yellow-tinted, 10-12 centimeters wide strips or ribbons around their necks, posterior (rears) and fore-flippers. 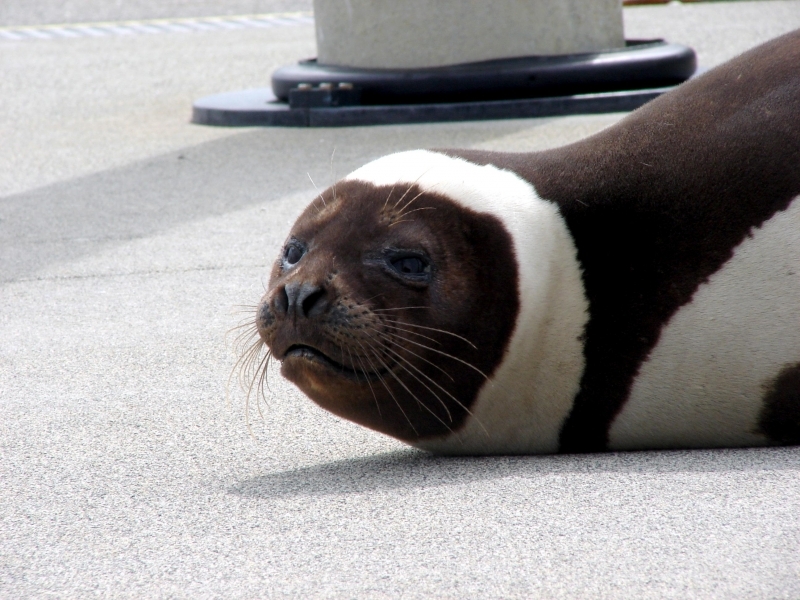 The solid colored parts of their fur are brown-black. 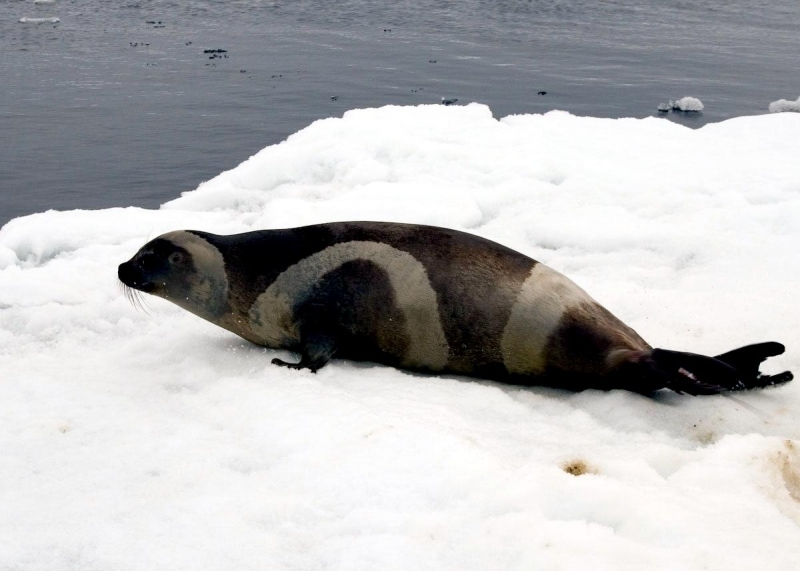 Coloring of the females is lighter and their ribbons are not as distinct. 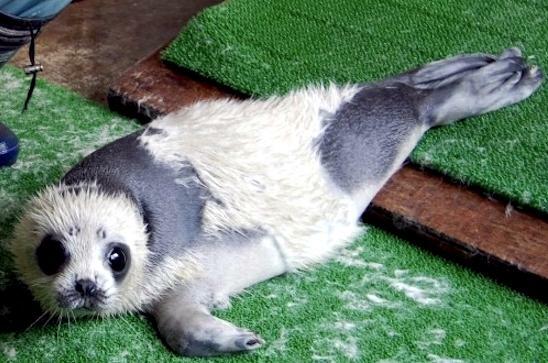 Juvenile are gray with lighter colored ribbons or bands that become more distinct with age. 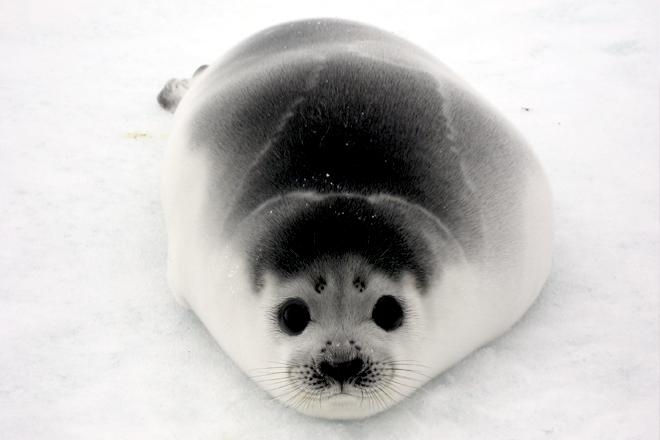 Some individuals can live up to 20-25 years of age. 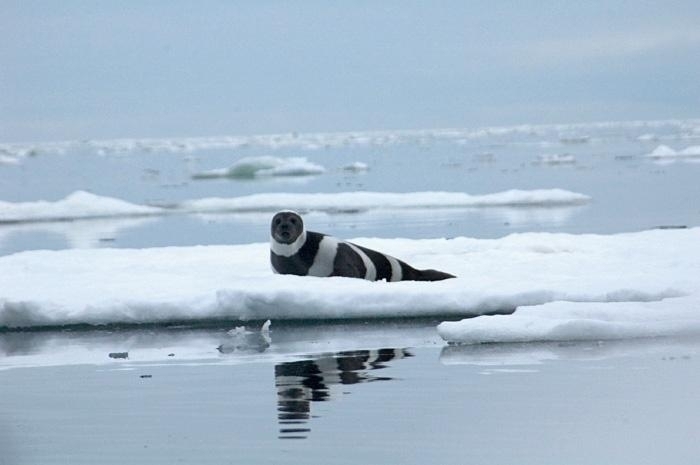 Ribbon Seals can be found in the north Pacific, the Bering & Okhotsk Seas and seasonally in the Chukchi Sea, western Beaufort Sea and the northern Sea of Japan. 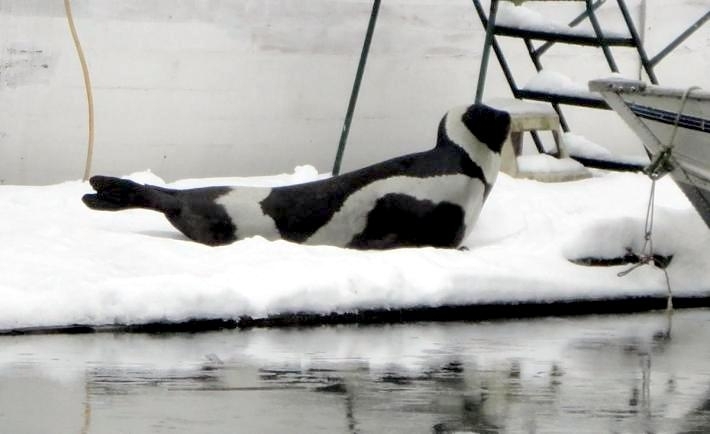 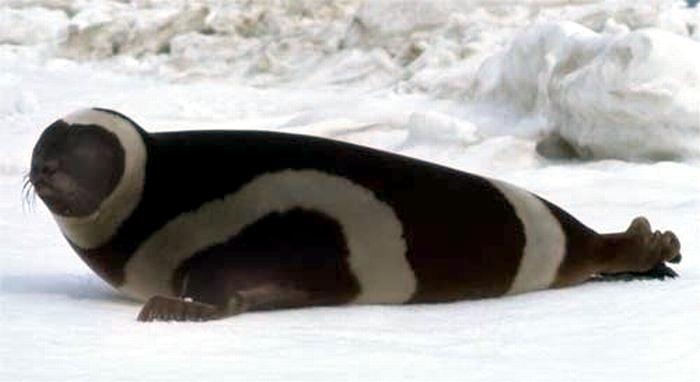 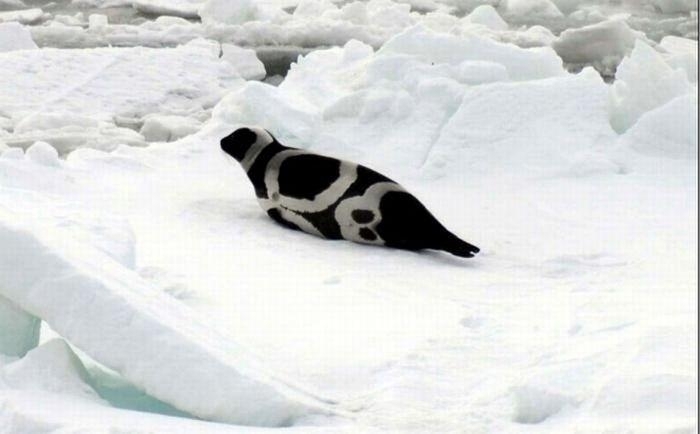 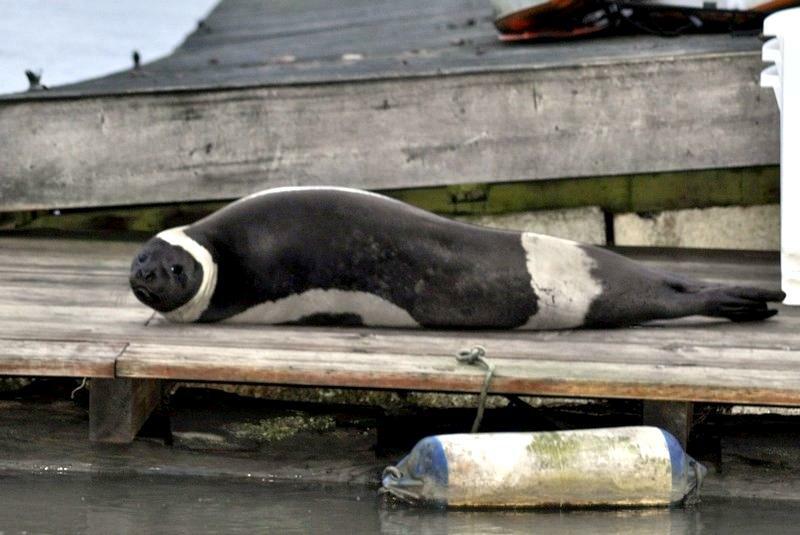 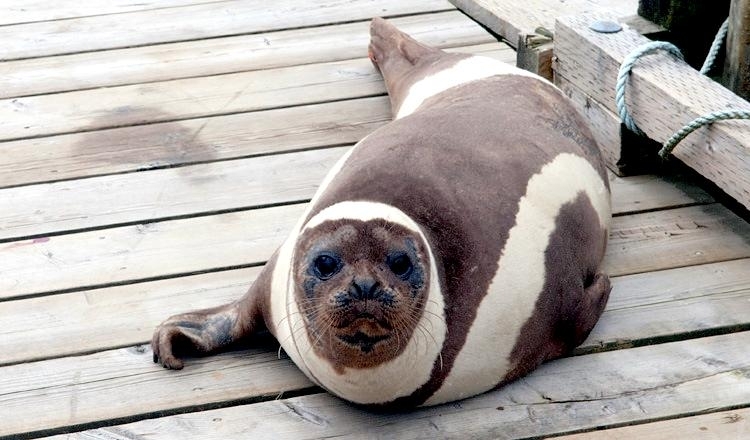 A sighting of a solitary wandering Ribbon Seal was reported in California. 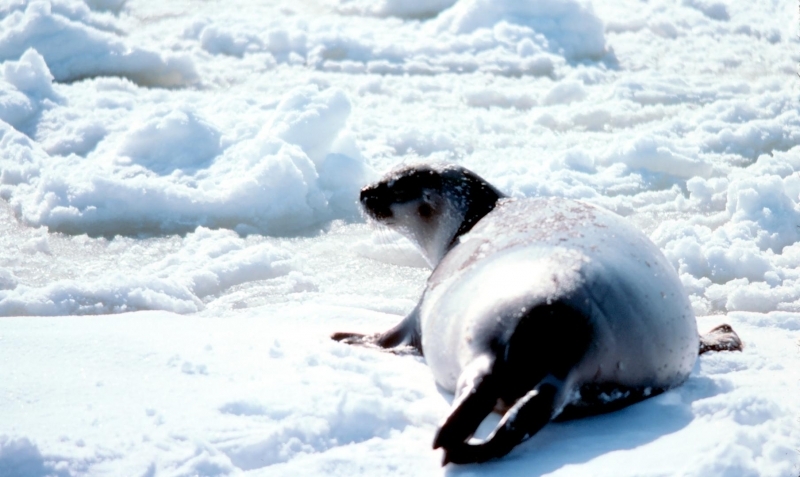 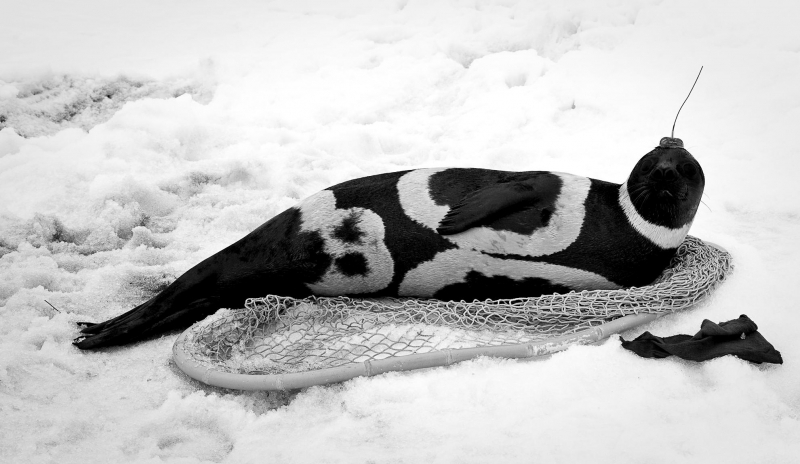 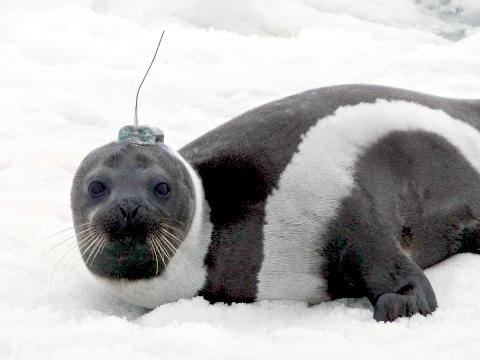 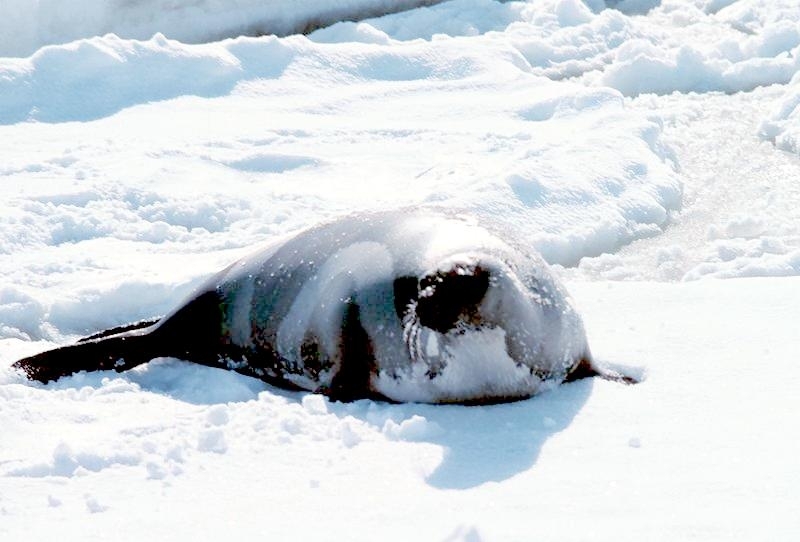 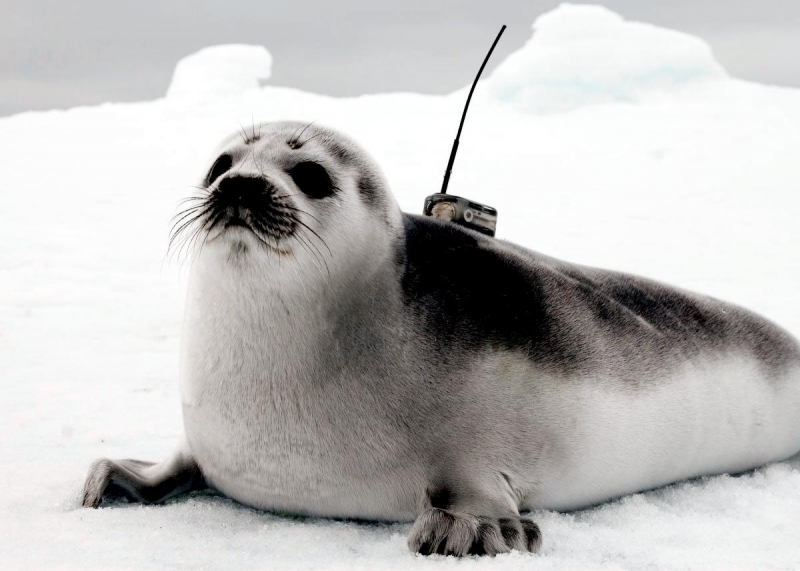 No data is available on the total population of Ribbon Seals. 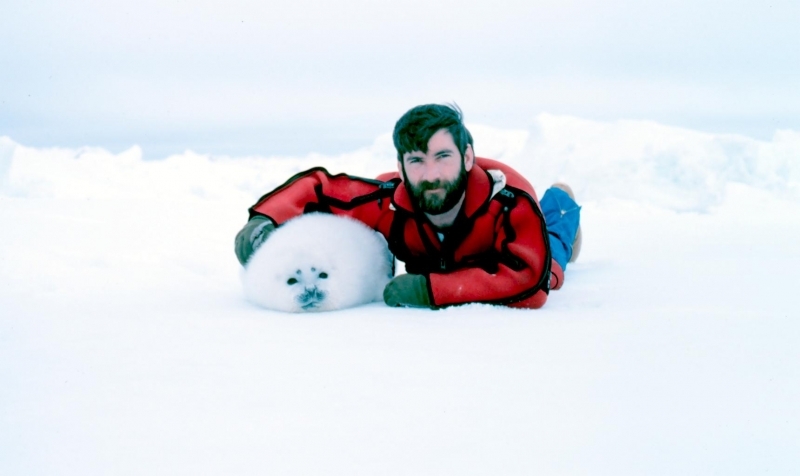 The most recent estimate was reported in the 1970’s of about 240,000 and a more recent estimate for the Bering Sea population is about 100,000. 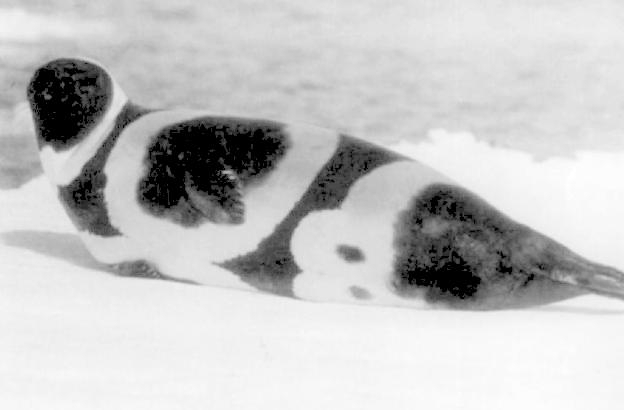 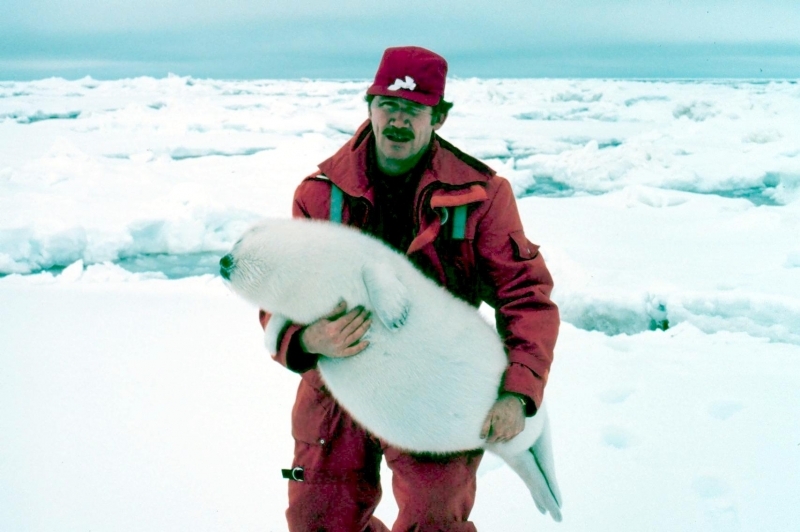 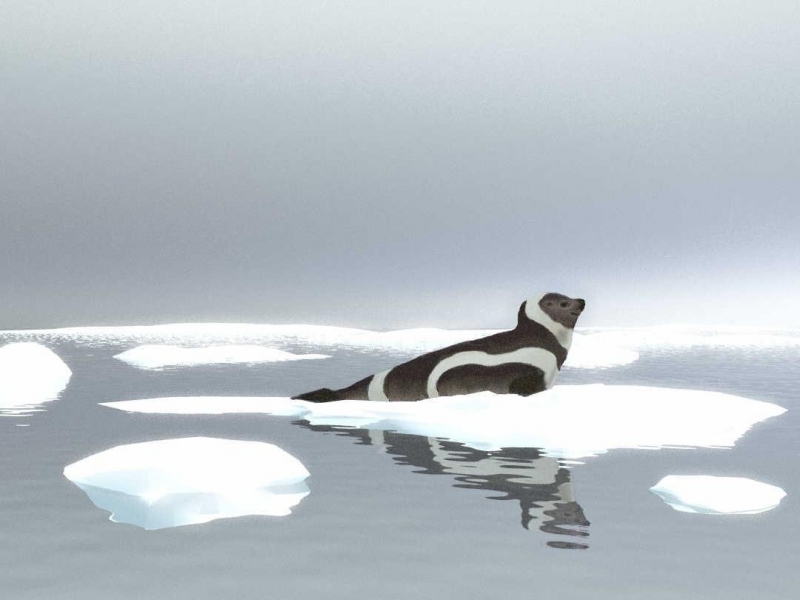 Since Ribbon Seals have not been hunted commercially for several decades, it is thought that their populations have returned to their pre-exploitation levels. 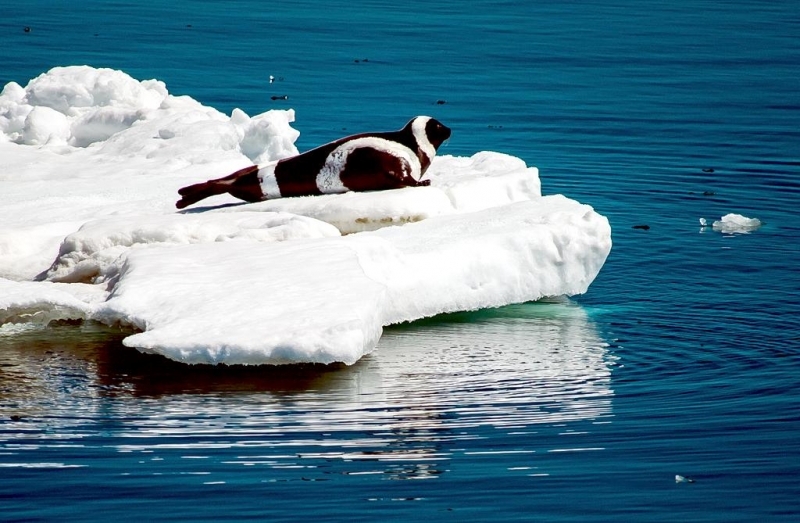 Ribbon Seals haul-out on pack ice far offshore. 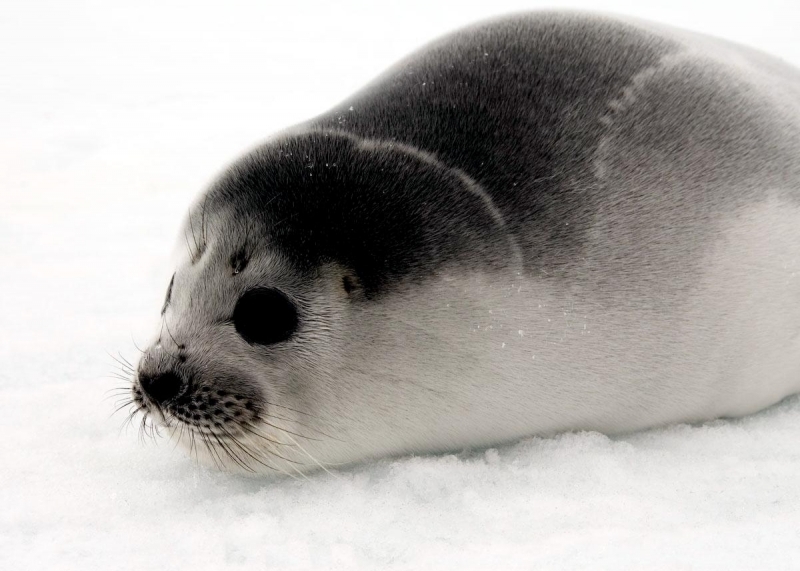 Little is known about the migratory patterns of this species, however in winter & spring concentrations are seen on the ice front of the Bering and Okhotsk Seas. 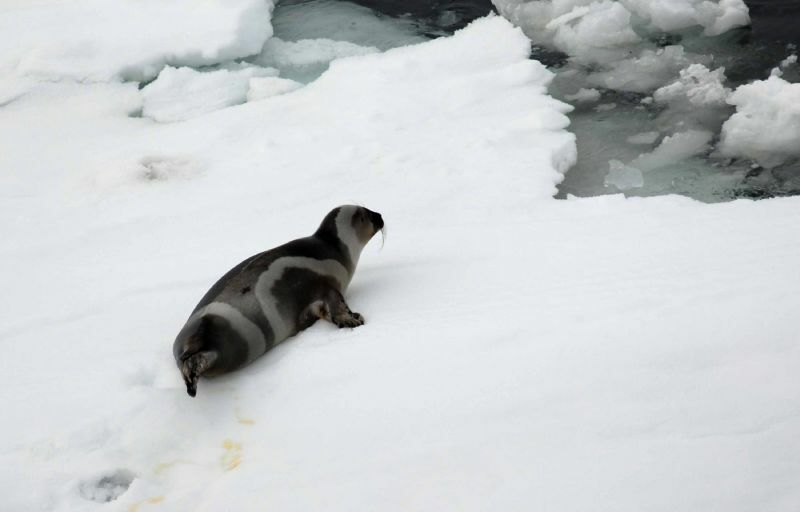 Some seals have been observed moving further north between May-July in the Chukchi and Beaufort Seas. 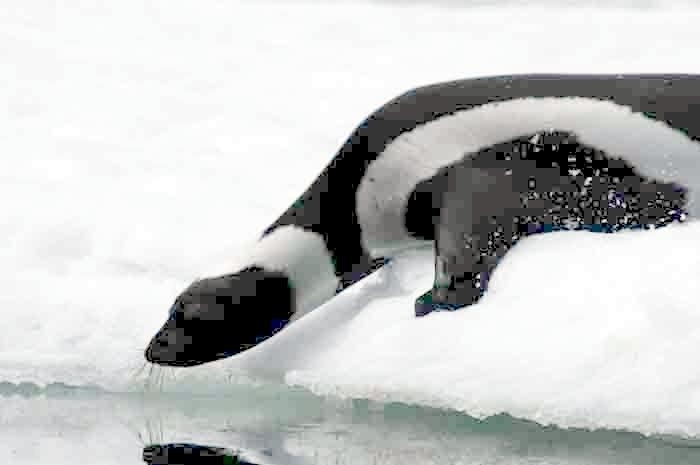 It is thought that most Ribbon Seals remain in pelagic waters near the edge of the continental shelf in the summer & autumn. 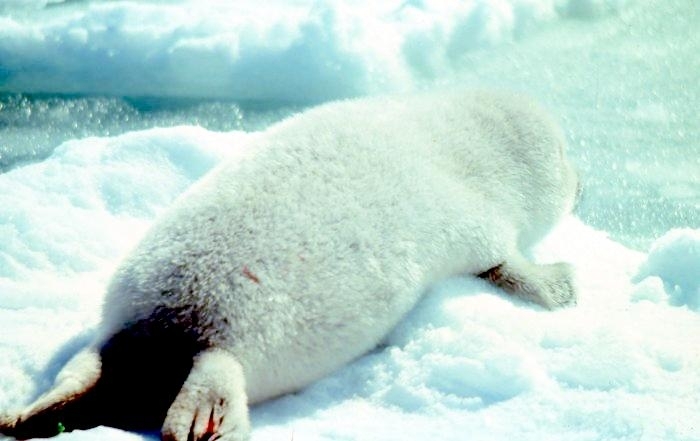 Predators of the this seal include Killer Whales, Greenland Sharks and Polar Bears. Ribbon Seals feed on a variety of different prey, however in areas where Walleye Pollock is abundant, this appears to be their primary prey. 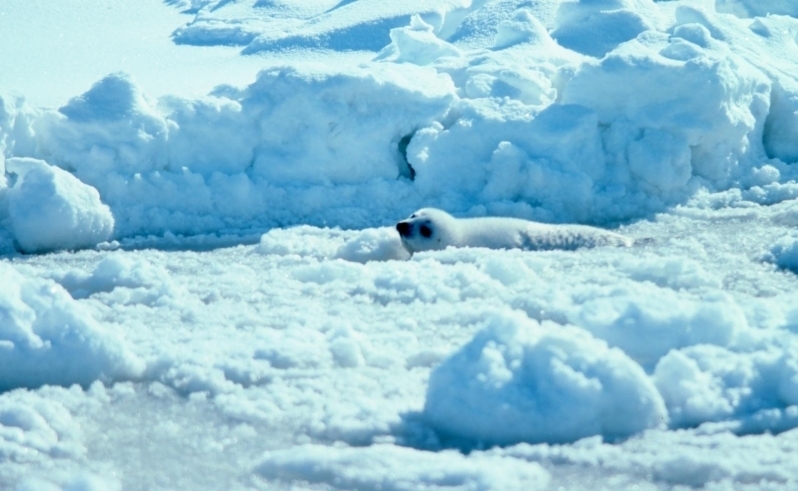 Shrimp is also an important food source and they are also known to eat other fish, squid and various crustaceans including crabs. 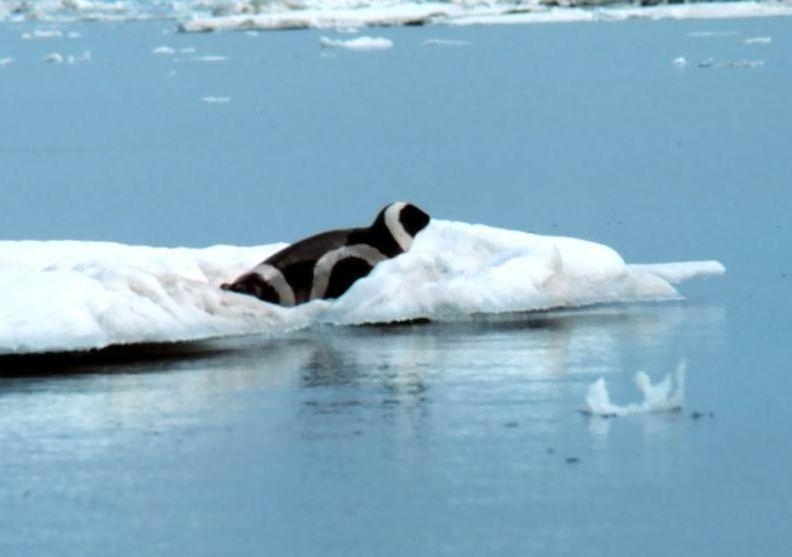 Young Ribbon Seals tend to feed on crustaceans. 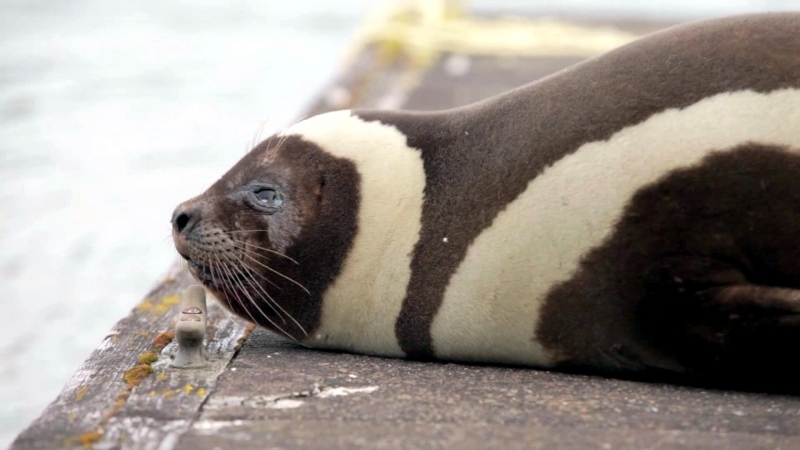 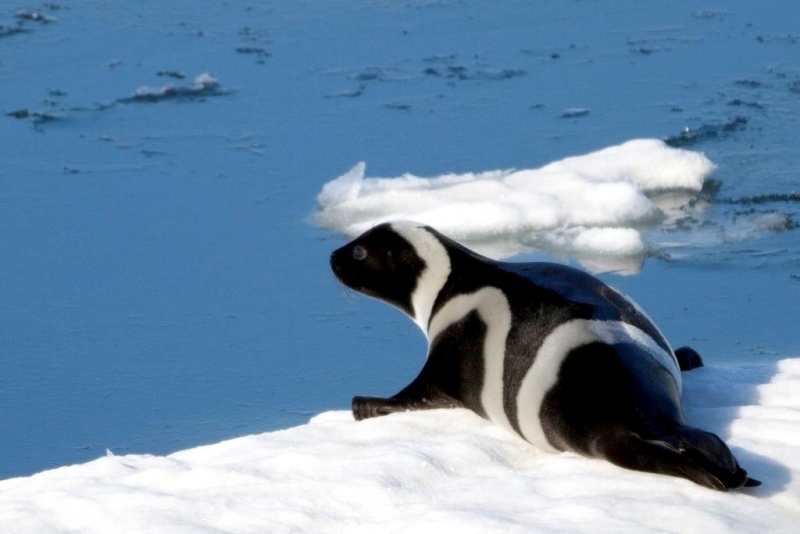 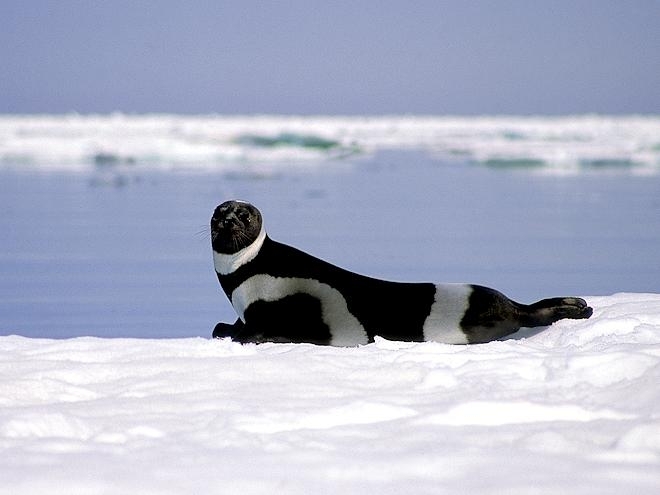 Ribbon Seals may dive to depths of up to 200 meters in search of food. 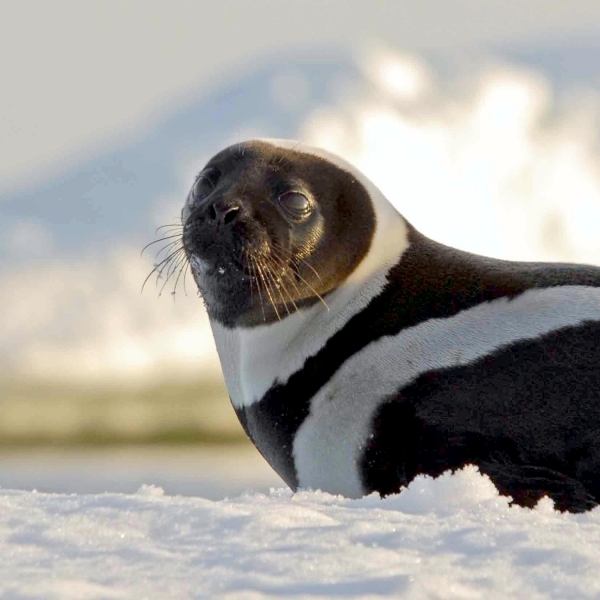 Ribbon Seal pups weigh about 9-10 kilograms and measure 80-90 centimeters at birth. 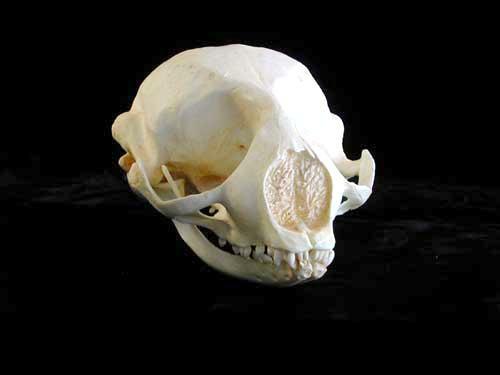 Natural mortality during the first year of life has been calculated at 44%. 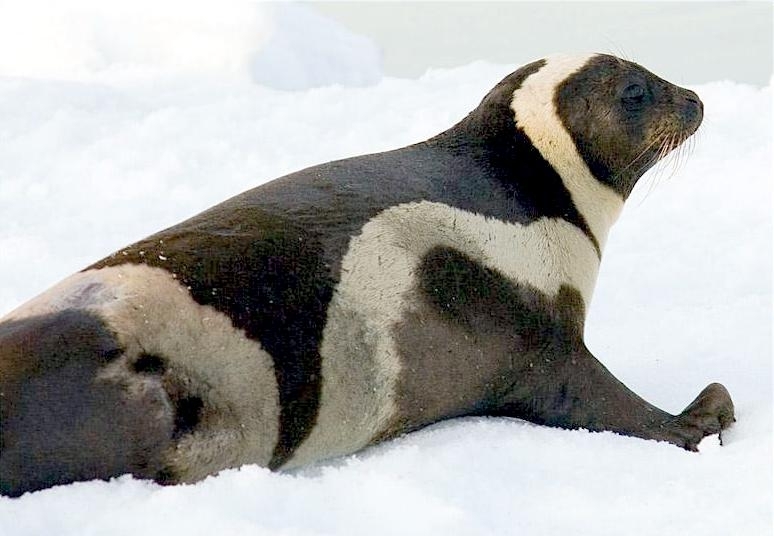 Females reach sexual maturity at 2-5 years, males at 3-6 years. 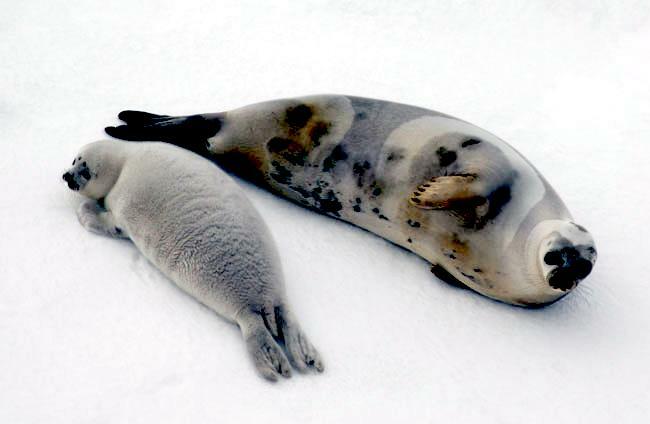 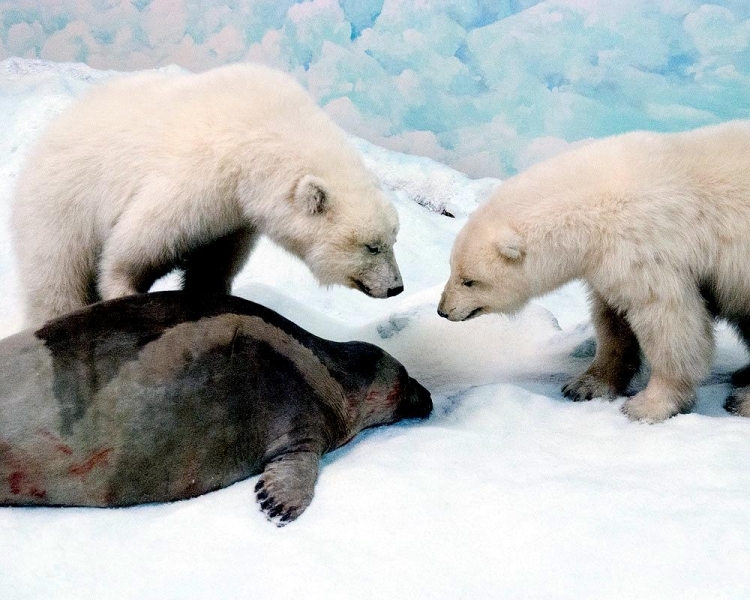 Pupping & mating take place on the ice in the spring. 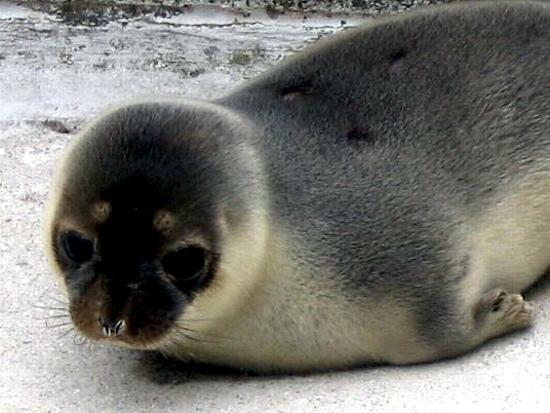 Pups are born in April & May with a fluffy white coat which is replaced 3-6 weeks later by a blue-gray coat that is silver-gray on the front. 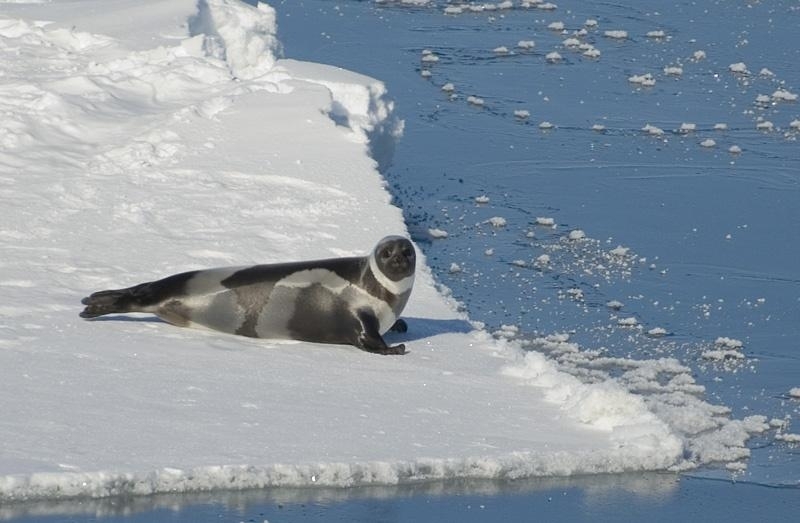 Ribbon Seal pups are weaned after a 3-4 week nursing period during which the mother occasionally feeds. 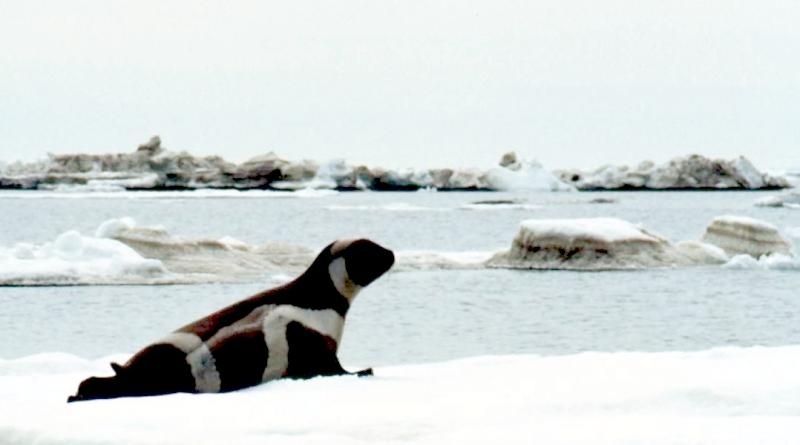 Mating takes place from late April to early May but no details are known of the species’ mating strategy. 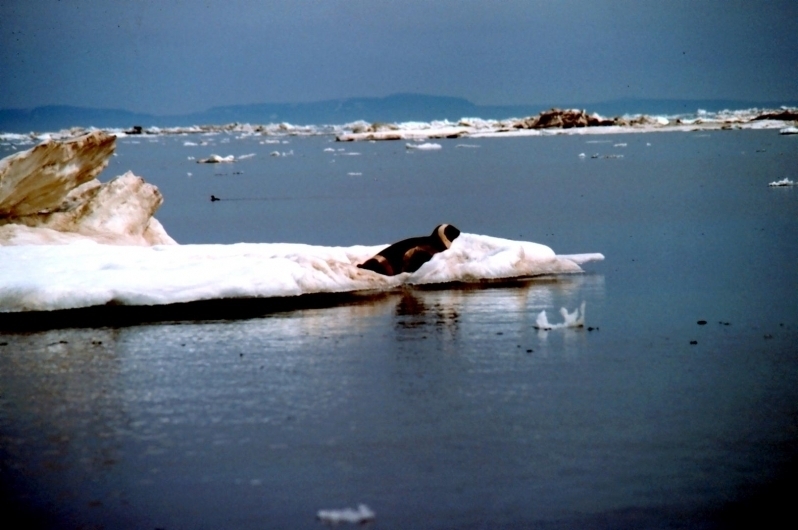 Adults molt in May to July, juveniles usually earlier.